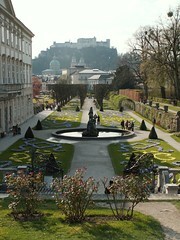 Mirabell Palace and Gardens are located on the north side of the Salzbach, in the Salzburg town center. 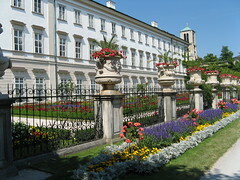 The palace was originally built by Prince Archbishop Wolf Dietrich in 1606, and has changed hands a number of times since. Today it houses government offices, including that of the Salzburg Mayor. 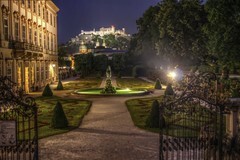 It is also one of the most famous places to get married in Austria. 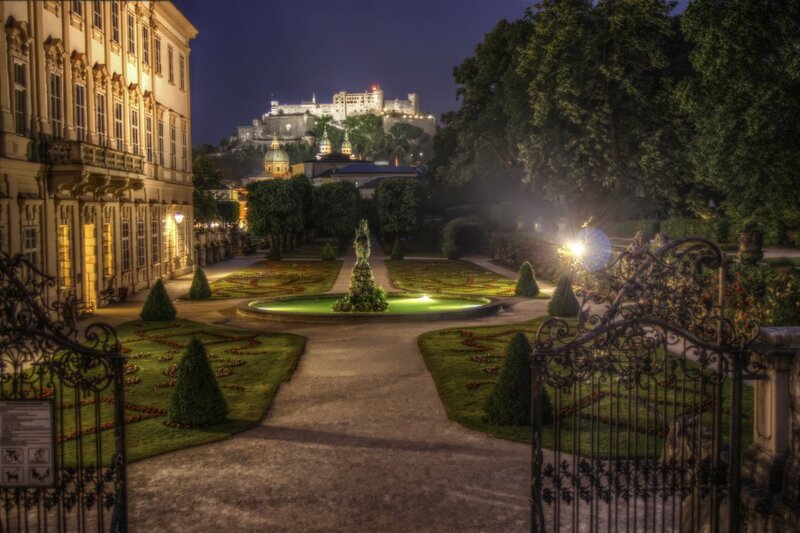 The ceremonies take place in the Marble Hall, once a banquet hall where Mozart played for the Salzburg high society, and is known as one of the most beautiful weddings halls in the world. The most of the inside of the palace cannot be visited by tourists, however the gardens are open to the public. Typically Baroque in style, they are best seen in the summer, when thousands of flowers are in bloom. 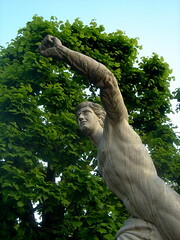 In the middle of the gardens is a large fountain. 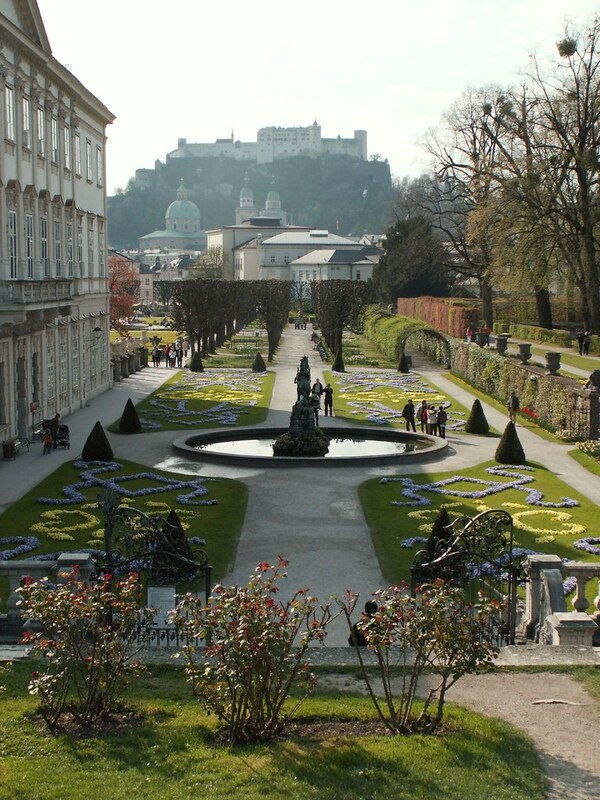 It was around this fountain, that Maria and the children sang "Do-Re-Mi" in the famous Salzburg film, the Sound of Music. The palace and gardens are impressive, but you can only really view them from the outside (well, when we were there anyway). This palace is conveniently located in the center of the city, but Hellbrunn Palace is much better in my opinion. 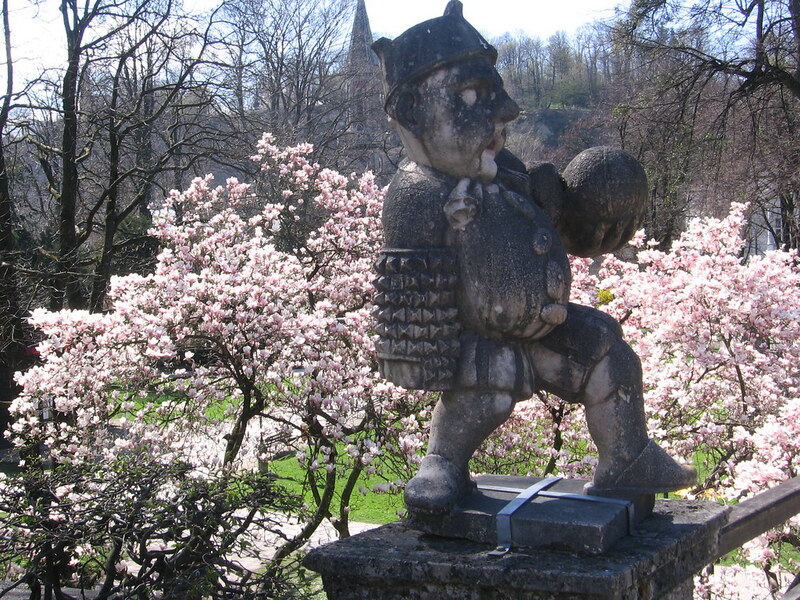 Have you already visited the Mirabell Palace and Gardens? If so, let everyone know what you thought about it by writing a review! No registration necessary. Just click here to start writing! View all Mirabell Palace and Gardens Pictures.